Ordered by Septinus & Amelia,, with request dragon theme. 1 wooden frame 4R + 1 plastic marshmallow. birthday hampers for Naily Farhatal Widad Zulkirwan. 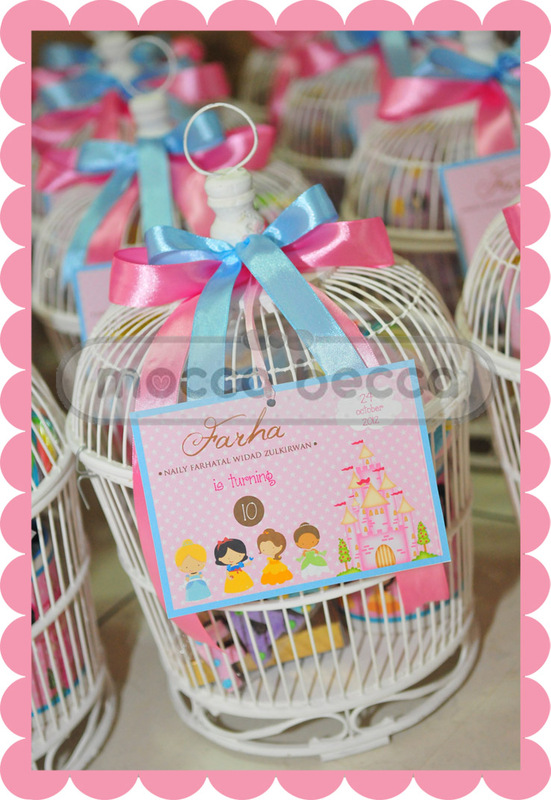 Ordered with request princess theme, and using birdcage. 1 plastic jar peanut cookies + 1 series alphabet cookies + 1 lollipop candy. 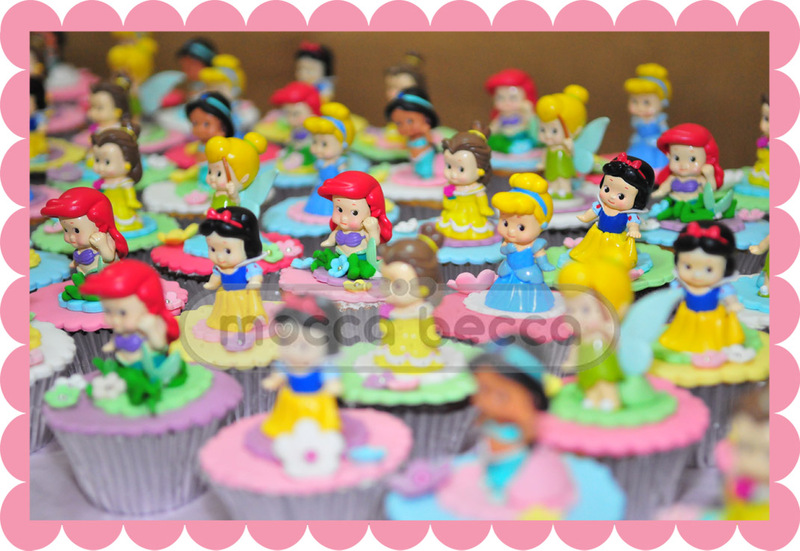 the super duper cute princess cupcakes for Farha’s birthday hampers. 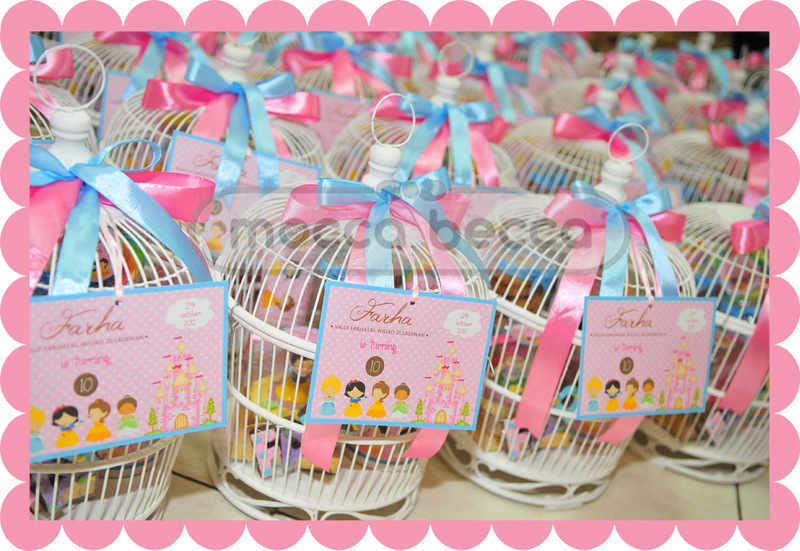 Princess goodies hampers for Farha’s 10th birthday.